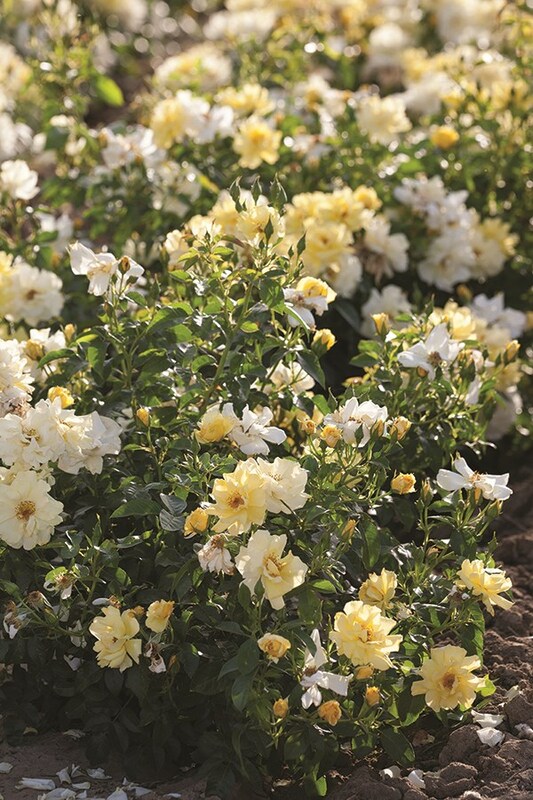 Cross between a full-size groundcover roses and miniature roses. They are tough, disease resistant and winter hardy. 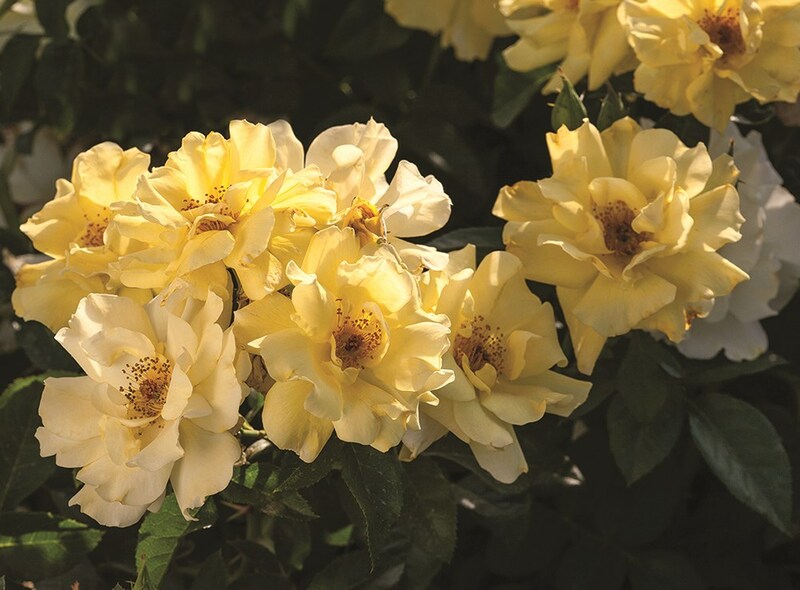 Low and manageable with a bushy, compact and rounded habit plus a repeat-blooming lemon-yellow flowers.